Dr. Glennon received her Bachelor’s degree in Occupational Therapy from Quinnipiac College in 1985. During the first five years of practice, she obtained certification in the administration and interpretation of the Sensory Integration and Praxis Tests (SIPT Certification). She began as adjunct faculty in Quinnipiac University’s Occupational Therapy department in September of 1990 and, after completing her Master’s degree in school psychology in 1993, she accepted a full time teaching position as an Assistant Professor of Occupational Therapy. Dr. Glennon completed her Doctoral degree in Counseling Psychology in September 2001. Since that time, she has been awarded tenure and has risen to the rank of full professor. Tara has dedicated a good portion of her time and energy educating the community and other professionals on the benefits of occupational therapy for children. She has a long standing history of delivering local, state, and national conference presentations on the development of fine motor skills, sensory processing, and the role of the occupational therapist within the educational and medical systems. In 1997, Tara began teaching SIPT certification tract courses. 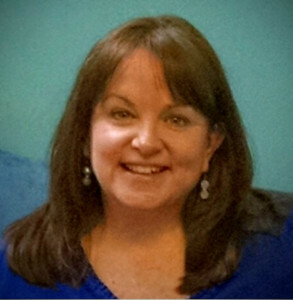 Additionally, she has authored over 50 publications related to service delivery within the pediatric domain, has received grant funding for a pilot program in handwriting intervention, and is co-author of the Sensory Processing Measure and the Sensory Processing Measure – Preschool, school-based assessment tools. 2017 Virginia Scardina Award of Excellence by the American Occupational Therapy Foundation. 2011 Jeanette Bair Writers Award by the American Occupational Therapy Association. 2009 Award of Merit from the Connecticut Occupational Therapy Association. 2008 Recognition of Achievement Award from the American Occupational Therapy Association for the Sensory Processing Measure: Facilitating School-Based Team Collaboration. 2002 recognition as a Fellow of the American Occupational Therapy Association (FAOTA) for her Commitment to Professional and Community Education in Pediatrics. 1993 Board Certification in Pediatrics (BCP), a specialty certification in pediatric occupational therapy intervention from the American Occupational Therapy Association. Tara was one of the first four occupational therapists in the state of CT to obtain this certification.